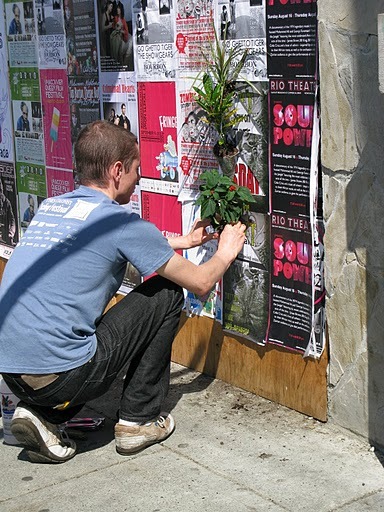 Poster Pocket Plants are an idea by two artists from Toronto. 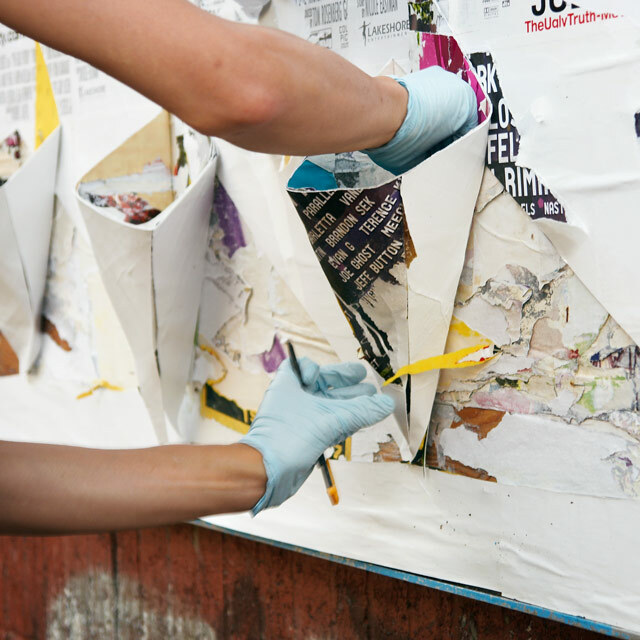 They cut into the thick layers of illegal advertising posters, peel it back, fold it over, staple it, and fill it with soil and plants. 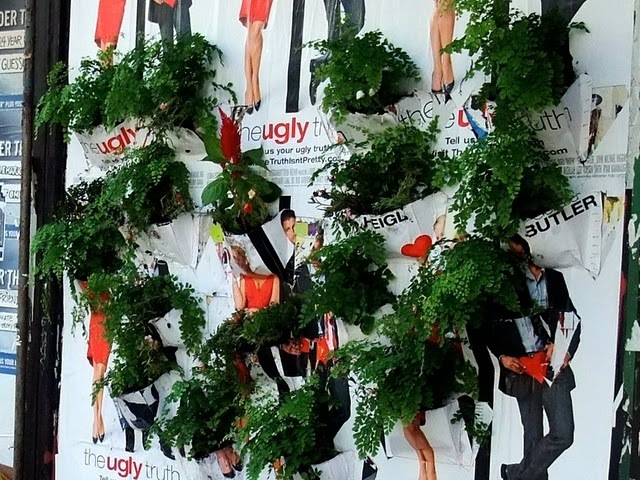 Easy enough and you end up with a cheap, DIY green wall. Its a protest against advertisers, its slightly illegal, and a little hippie all in one. An A+ Urban Hack. One of them waxes a little deeper on his blog. I appreciate that they have posted the ‘plans‘ online for easy replication. 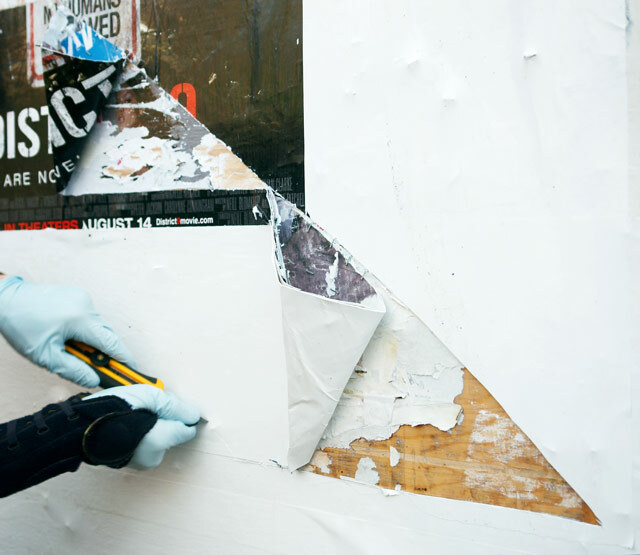 Looks easy enough, just use a razorblade to slash a top and side open, fold, fill, and photo. I bet you could get super arty with it. In addition to plant choices, how you cut them can make a statement too.